What are the garbage removal options of the condo you're considering? Condo buyers give thought to a lot of different aspects of the building — views, design, availability of amenities and common space all factor into the decision-making process. Here’s another one to add to the list, something that might seem insignificant but is actually important in everyday condo life: How will you take out the garbage? Many buildings offer trash rooms with garbage chutes on every floor, but go beyond that to determine how the disposal of your garbage may affect your lifestyle. Here are some important considerations — that aren’t all rubbish. Our living spaces have particular smells and there is nothing worse than entering a household and being accosted by a stinky odour. As a real estate agent, I notice the smell of homes daily. In a condo, you’re not just dealing with your own scents, but also smells coming from other units and common areas, from cooking odours and garage car fumes to mould from humidity, room sprays and dirty diapers. Though it may be difficult to mitigate cooking and garage smells, you can do your due diligence before buying to ensure a limit on bad aromas. Find out how the developer plans to keep garbage smells to a minimum. Where will they situate the trash room? Will there be someone removing trash bags and washing out recycle bins often? And will your unit be within smelling range of the trash room? You may not be able to smell the trash being stored in your floor’s garbage room, but what about hearing it? If you are on a low floor you may have to deal with dumpster or garbage truck sounds, much like you would in a home. But if your condo is adjacent to the trash room, you may also hear people banging the chute door or recycle bins clanging against the floor. These sounds might seem innocuous, but if your bedroom wall is near the chute, you may hear things sliding down the chute at all hours, including when night owls and early birds take out their trash at odd hours. While you don’t want the garbage room to be too near, you also don’t want it to be too far from your unit. If you have stinky, heavy trash bags, you won’t want to haul them through the elevator and onto another level. Not only that, but your neighbours won’t benefit from the lingering scents of turkey carcass, or whatever else your Glad bags contain. Some condos require owners to take their garbage to a room downstairs. But how convenient can that be? Consider this scenario: your neighbour is transporting trash in the elevator while you are bringing in guests to a dinner party. That is hardly a great first impression for your friends. It’s also important to speak to your developer about the ins and outs of condo recycling. Is this something they can accommodate? Not only is recycling beneficial for the environment, it can help you manage your trash. Supplementing your garbage disposal with recycling can help limit your waste and thus your travel time to the trash room. If you wash recyclable items out before you discard them, like you’re supposed to, they smell less than garbage and they can be compacted more easily than regular trash. 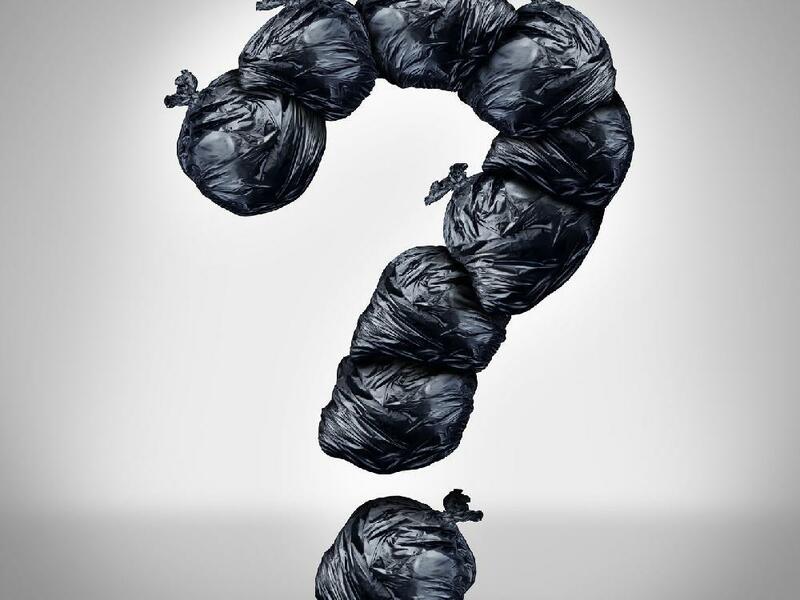 On a final note, think smaller trash bags changed more often to inhibit the development of bad odours. And if you find that you do have a lot of trash, consider a trash compactor. If you have the space for one, it can reduce greatly the volume of garbage you have to throw out.